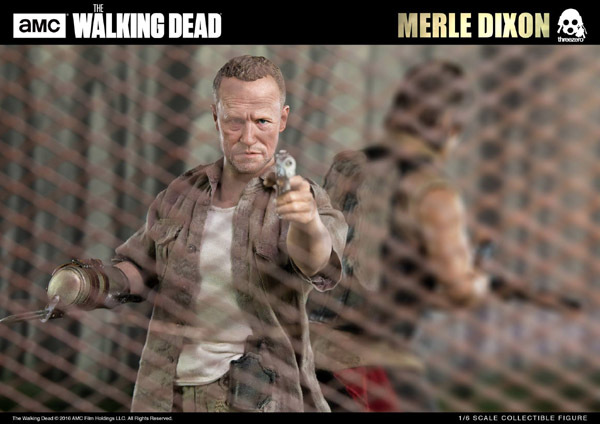 We would like to share with you our next addition to AMC The Walking Dead line of collectible figures and it’s Merle Dixon! 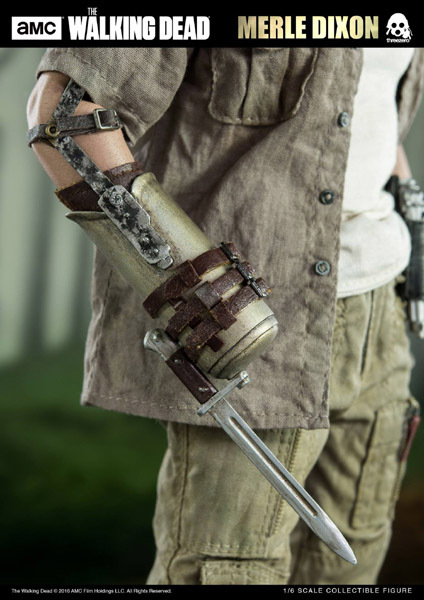 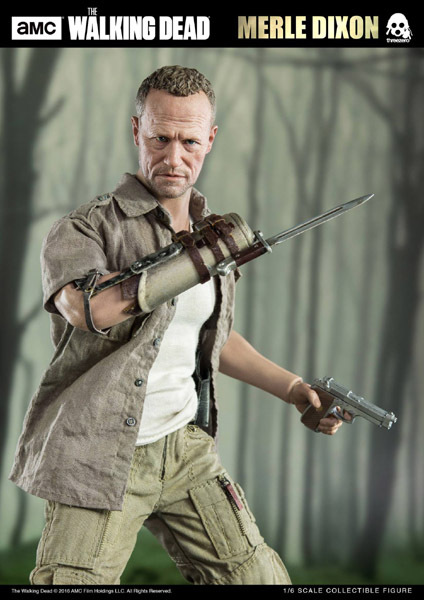 This Dixon collectible figure stands approximately 12” (29.5cm) tall, it's fully-articulated and highly detailed collectible, featuring likeness to his on-screen appearance, including hand-stitched tailored clothing, prosthetic right arm with bayonet, three pairs of exchangeable hands and pistol with removable magazine. 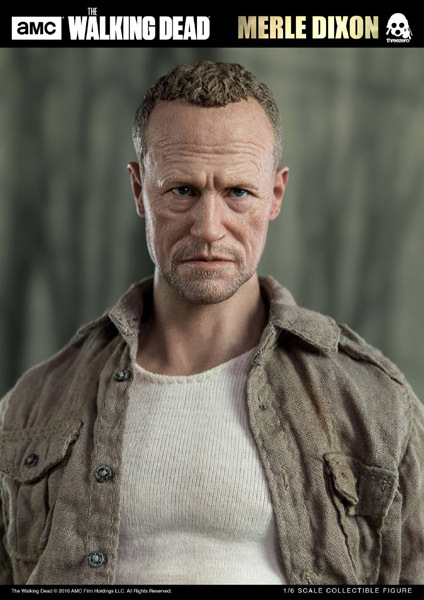 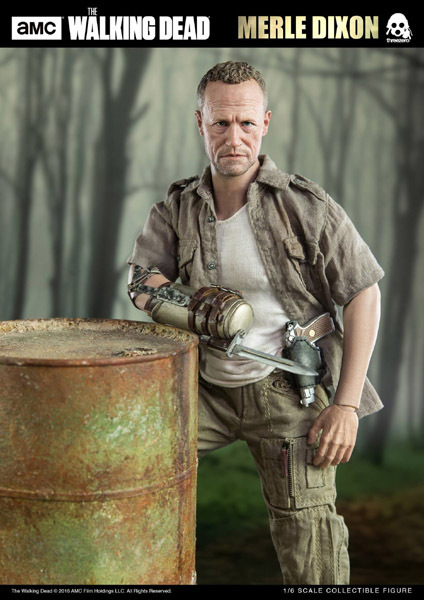 1/6th scale The Walking Dead Merle Dixon collectible figure will be offered for pre-order at threezerostore.com for a limited time starting from September 23rd 9:00AM Hong Kong time. 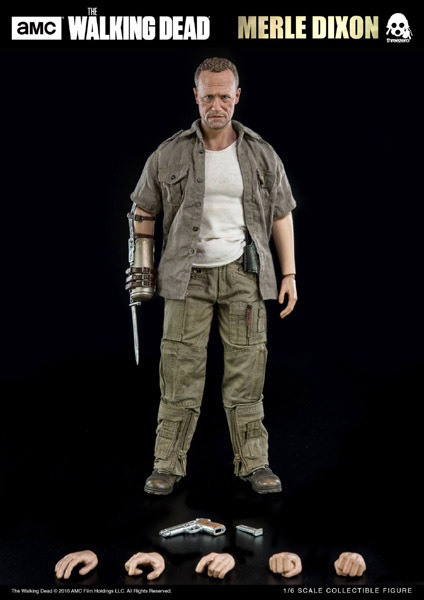 The Walking Dead Merle Dixon price at www.threezerostore.com is 160USD/1250HKD with worldwide shipping included in the price. 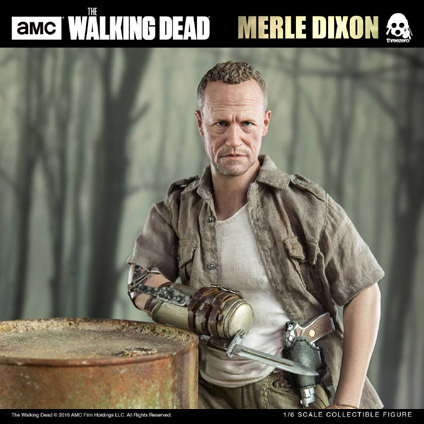 We would like to share with you our next addition to AMC The Walking Dead line of collectible figures and it’s Merle Dixon! 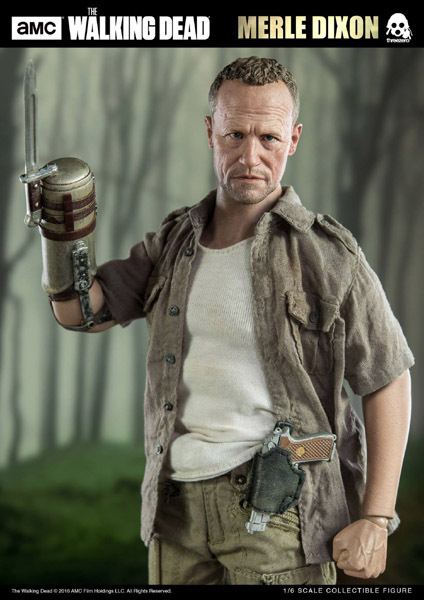 This Dixon collectible figure stands approximately 12” (29.5cm) tall, it’s fully-articulated and highly detailed collectible, featuring likeness to his on-screen appearance, including hand-stitched tailored clothing, prosthetic right arm with bayonet, three pairs of exchangeable hands and pistol with removable magazine. 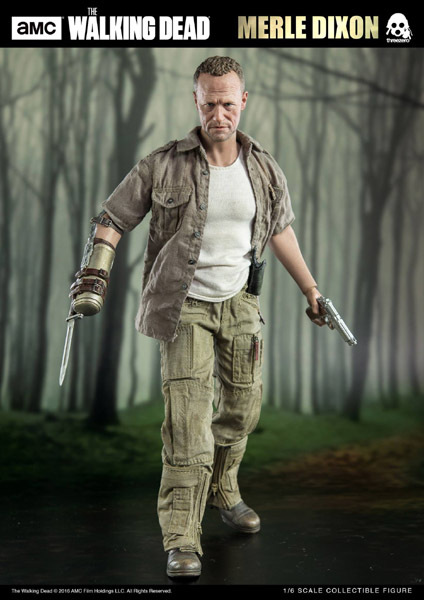 One pair of gripped hands for holding a gun.